← Green Smoothie Mixology – the start of my day! I know I’m late, but I traveled yesterday and was happy to dine at one of my fav dives in Wetumpka, AL – Aw Shucks! 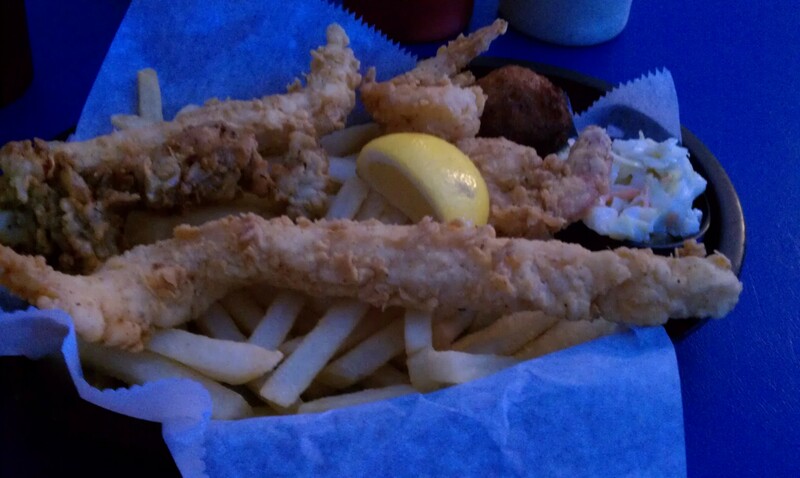 I always get the the Skipper’s Lunch which includes 2 fish fingers, 2 fried oysters, 2 jumbo shrimp, french fries, cole slaw and a hush puppy! This was some good eating yall! Do you have any out of the way spot/fav place that you like to dine? This entry was posted in Culinary Delights, Travel. Bookmark the permalink.